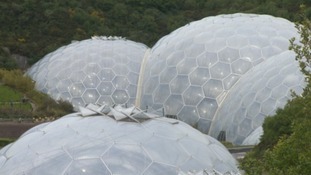 The Eden Project has been revealed as the busiest attraction in the South West. The Cornish centre drew in more than a million visitors last year according to figures from Visit Britain. It is the first time since 2011 visitor numbers have reached this level. The result means the attraction is in the top 20 pay-to-see places nationwide. It is the third year in succession that visitor numbers have increased. Eden Project Chief Executive Gordon Seabright says the news is 'uplifting'. The Tower of London topped the list with more than 2.7million visitors in 2016.